We already have the fall TV season’s most surprising cancelation: Southland. The NBC cop drama wasn’t even scheduled to bow its second season until Oct. 23, but NBC has already pulled the plug, sadly, on the show that was one of the best network premieres last season. Part of the reason for the cancelation: NBC says the show’s too dark and gritty for the 9PM broadcast network hour, which, of course, is the latest slot NBC has available in primetime with the lame Jay Leno Show taking up 10PM Monday-Friday. Sigh. Southland, a Warner Bros. TV production, started off as a midseason series on NBC last spring, taking over the timeslot vacated by another John Wells production, ER. 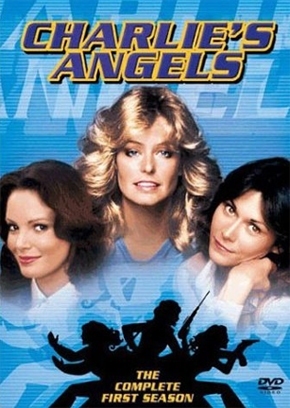 The show won good ratings that dwindled as the episodes unfolded, but earned great critical reviews and had a loyal following heading into its new Friday night home for its second season. According to The Hollywood Reporter, the show may be pitched to cable networks … Southland would fit in well with great dramas like Sons of Anarchy and Damages, don’t you think, FX execs? Meanwhile, it’s bad enough that NBC’s new series – like the generically, forgettably-titled medical dramas Trauma and Mercy – have failed to wow anyone, but now the network is just throwing away the buzzworthy scripted series it could potentially nurture into a ratings hit? – Here’s official proof that anyone can get a reality series these days: Tobey Maguire‘s mom – yes, Spider-Man’s mama – is working on a reality series that will focus on her attempts with her other son, 15-year-old Weston, to remain normal in the shadow of her famous son’s Hollywood life. Next up: the guy who waves at you when you drive by his house while he’s mowing the lawn gets his own reality show. – No surprise here: Both Burn Notice and Royal Pains have been renewed on USA Network. The shows’ popularity led to USA ending July as the most-watched cable network on the tube. – Prison Break star Robert Knepper and his evil Samuel will be a regular on the fourth season of Heroes, and The Hollywood Reporter has a preview clip of the new season. – Pre-season research is indicating that CBS’ NCIS spin-off NCIS: Los Angeles and The Jay Leno Show could be among the big breakout hits of the fall. – It’s not a return to Deadwood, but Timothy Olyphant will be playing a marshal again, this time in FX’s new drama Lawman. 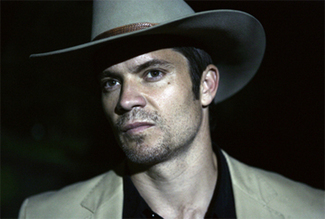 Olyphant will play Raylan Givens, an Elmore Leonard character whose retro approach to being a lawman gets him sent to Kentucky to deal with baddies in his hometown. Bonus: The Shield star Walton Goggins (who so deserved an Emmy nod for the last season of that show) will be among Lawman‘s guest stars. – Wonder what you’d look like as a Mad Men character? Would you be a chain-smoking, cocktail-swilling shark of an ad exec, or would you just be drawn that way? Find out at MadMenYourself.com, where you can create your own animated Mad Men-era you. – Degrassi: The Next Generation star Aubrey Graham, who’s better known as red-hot rapper Drake these days, has signed on to co-star with another Degrassi alum, Mazin Elsadig, in a new Canadian sitcom called Us & Them. – The Bachelor‘s Chris Harrison and Dancing with the Stars‘ Carrie Ann Inaba have signed a deal to become the new hosts of the TV Guide Channel’s awards show red carpet coverage, beginning with the Emmys on Sept. 20. – Emmy nominee Sarah Silverman, Jonah Hill, Seth Rogen and the Manning brothers will be among the voice guest stars on the 21st season of The Simpsons, which debuts Sept. 27 on Fox. – USA Today has a fun profile of Hoboken Buddy Valastro, who, thanks to TLC’s addictive Cake Boss, has joined Ace of Cakes‘ Duff Goldman as a rock star cake baker. – George Lopez‘s late-night talk show will debut on TBS in November. – In the wake of Walter Cronkite‘s death, who’s now America’s most trusted newsman? 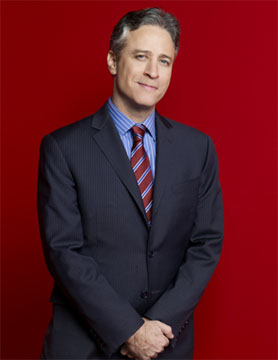 A Time.com poll says it’s Jon Stewart. – Speaking of Cronkite, the Discovery Channel is airing the news legend’s eight-part documentary on the 20th century, Cronkite Remembers, this Sunday. – Nip/Tuck star Joely Richardson will play Henry VIII‘s last wife, Catherine Parr, on the upcoming final season of Showtime’s The Tudors. – Comedy Central is planning a straight-to-DVD movie version of its politically incorrect (to put it mildly) ‘toon Drawn Together. – What’s wrong with kiddie beauty pageants? Check out a clip from last night’s Toddlers & Tiaras season premiere, in which a four-year-old describes her mom’s talking hands as her best friends. Really, just watch it. – The Jay Leno Show will have a different director than Leno’s Tonight Show, and the new helmer is an old Conan O’Brien director. 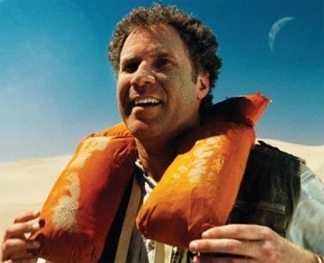 BTW, “Stuttering” John Melendez will be a part of Leno’s new primetime show, but as a writer instead of an announcer. The official Website for the comedian’s new show is up on NBC.com, where fans can watch The Jay Leno Show set being constructed. – The Bio Channel is premiering new TV-related Biography episodes in August, including installments on Family Ties, Roseanne and Three’s Company. – TV Guide.com’s complete guide to Comic Con just makes me regret not planning a trip to the San Diego event this year … so many great TV happenings there. – There’s a great line-up for HBO’s special on the 25th anniversary celebration for the Rock & Roll Hall of Fame, including Eric Clapton, Bruce Springsteen, U2, Stevie Wonder, Metallica, Simon and Garfunkel and Aretha Franklin. Just one quibble: Since the Rock Hall of Fame is in Cleveland, couldn’t organizers have planned the event for that city, which could certainly use the potential influx of tourist cash the concert would bring, instead of Madison Square Garden? – IGN.com’s counting down the “25 Funniest Will Ferrell Characters.” It’s a great list (when Roger Klarvin, Ferrell’s character in the funny “luv-ahs” skits on Saturday Night Live, only merits a spot at number 20, you know there are some great ones coming up). This is a big week for Ferrell – not only does the big-screen makeover of Land of the Lost open on Friday, but he’s nominated for a Tony Award on Sunday. – VH1’s upcoming miniseries The Great Debate is sorta like Lewis Black’s Root of All Evil in reverse. Instead of debating which of two pop culture ideas is the worst, The Great Debate will feature talking heads like Omarosa, Jerry Springer and Tila Tequila debating which is better – Star Wars or Star Trek, Rocky or Rambo, Jeopardy or Wheel of Fortune … you get the idea. The week-long series kicks off on July 6, and fans can weigh in now by voting on such topics as “Funny or Not?” (including Adam Sandler, Dane Cook and Kathy Griffin), “Sibling Rivalry” (Kevin or Matt Dillon? Owen or Luke Wilson? Paris or Nicky Hilton?) and “Hot or Not?” (including Michael Phelps, Fergie and Zach Braff). Sounds like a fun summer series, though you have to wonder, weren’t any of the Best Week Ever peeps available? Omarosa and Tila Tequila aren’t exactly, to play off the title, the great debaters. – So you wanna be a star? Auditions for American Idol, season nine, kick off in Boston on June 14. – The ratings are in, and the season premiere wasn’t a fluke. Plenty of people are still rubberneckin’ at the trainwreck that is Jon & Kate Plus 8. More Gosselin news: US Weekly is featuring the fam on its cover for a sixth consecutive week. Almost makes you nostalgic for the days when Britney was doing something crazy every week, huh? – Claire (Hayden Panettiere) is getting a college roommate on Heroes next season, and she’s being played by Californication‘s Madeline Zima. – The Jay Leno Show will debut on NBC on Sept. 14. – Breaking Bad‘s second season just ended, but there’s already a preview clip for season three. – And Grandma Gilmore, a.k.a. Gilmore Girls (and Dirty Dancing!) great Kelly Bishop, will guest star in the new season of Army Wives … as a cougar!